SoftPlanet makes it possible for everyone to get free FastStone Photo Resizer download directly from our servers. There is no registration needed for downloading. FastStone Photo Resizer is a batch image conversion/renaming application, a tiny one. 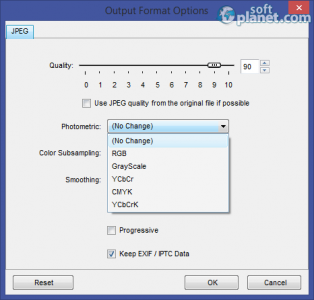 BesiIt is designed to that intends to enable users to convert, rename, resize, crop, rotate, change color depth, add text and watermarks to multiple images at the same time. Drag and Drop mouse operation is well supported. 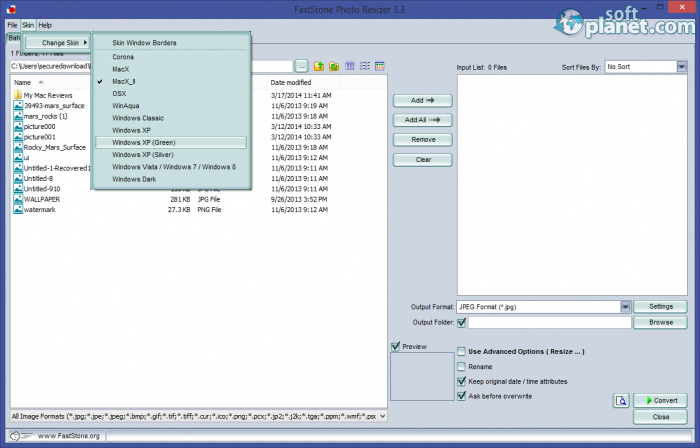 FastStone Photo Resizer 3.3 is very easy to install and work with. It enables you to to drag and drop pictures. Thus you can add files much faster. Unlike basic image processing apps, you can actually work with various pictures simultaneously. 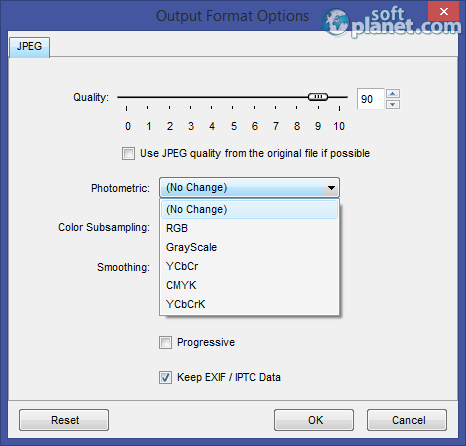 The program offers lots of settings for both conversion and renaming procedures. 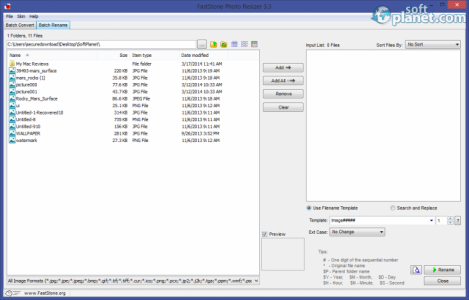 In addition, FastStone Photo Resizer comes with a simple and easy-to-navigate graphical user interface. FastStone Photo Resizer 3.3 is a very handy tool, which you definitely need to have within your personal toolkit, especially if you are a photo enthusiast. Please be aware that the software is 100% free for home users only. Business ones have to actually purchase it. We look forward to your feedback. 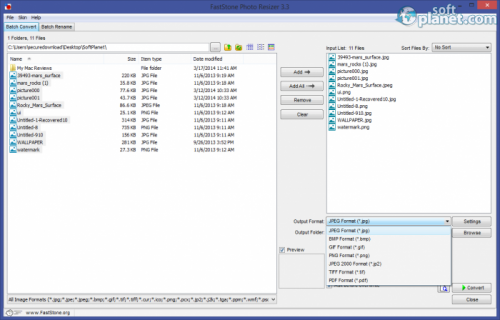 FastStone Photo Resizer is VIRUS-FREE! Our security scan shows that FastStone Photo Resizer is clean from viruses. The current version of FastStone Photo Resizer has been scanned by our system, which contains 46 different anti-virus algorithms. That ensures that FastStone Photo Resizer 3.3 is 100% safe for your computer.